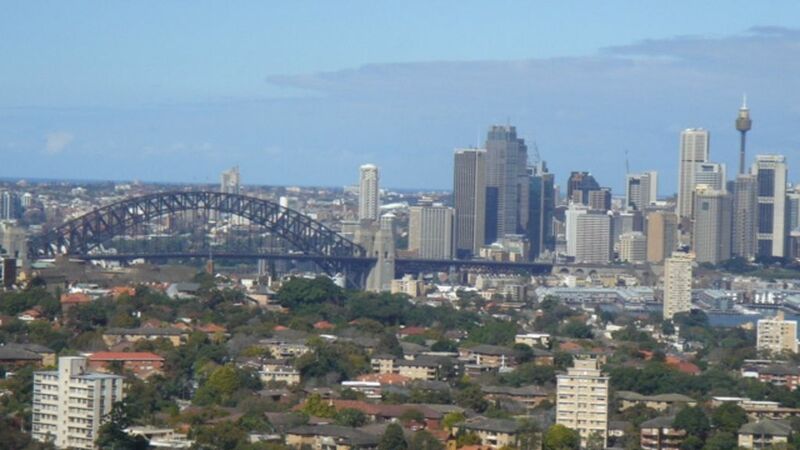 MAGNIFICENT SUB PENTHOUSE: "Forum Tower"
* 180 degree views of the Harbour and west to Blue Mountains from apartment. * The other two bedrooms have single beds (trundles in the third). * It is tastefully furnished, with all modern appliances. * Secure underground car parking (two spaces) and concierge service. The apartment is conveniently located next to St Leonards railway station and the Pacific Highway, with easy access to the St Leonards and Crows Nest shops and restaurants. Amazing views and great, easy location. Great view and proximity to train station was very useful. The main reason we chose the property was its closeness to the Royal North Shore Hospital which worked out well.